Silvestre Santiago, mostly known for his pseudonym, Pejac (Santander, Spain b.1977) began his journey as a street artist as a rebellion against his professor's elitist belief that great art can only be found in museums and galleries. And what a success he has been; leaving his mark from London to Amman and all the places in between. And if that wasn't enough, he is also a very accomplished painter and illustrator. His work explores the concepts of freedom, politics, peace and poetry. The synthesis within the site-specific installations and his clever compositions create the powerful masterpieces that we see today. By using the world as his canvas, we are graced with his powerful and momentous visualisations. His art breaks out the confines of space and goes above and beyond in addressing certain issues. 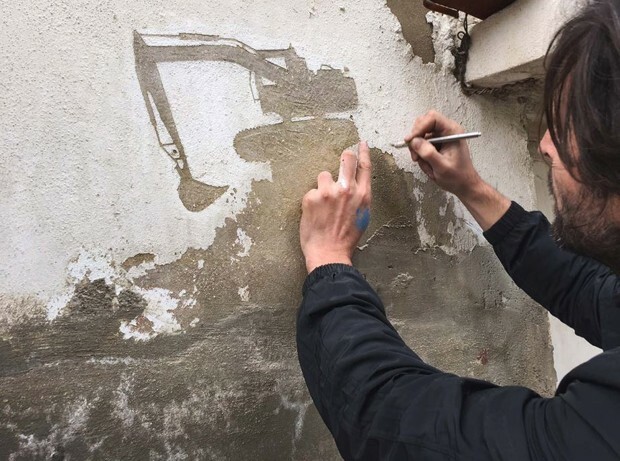 From his visually striking approaches to challenging current events, Pejac's street art knows no boundaries, even without the conventional spray can. 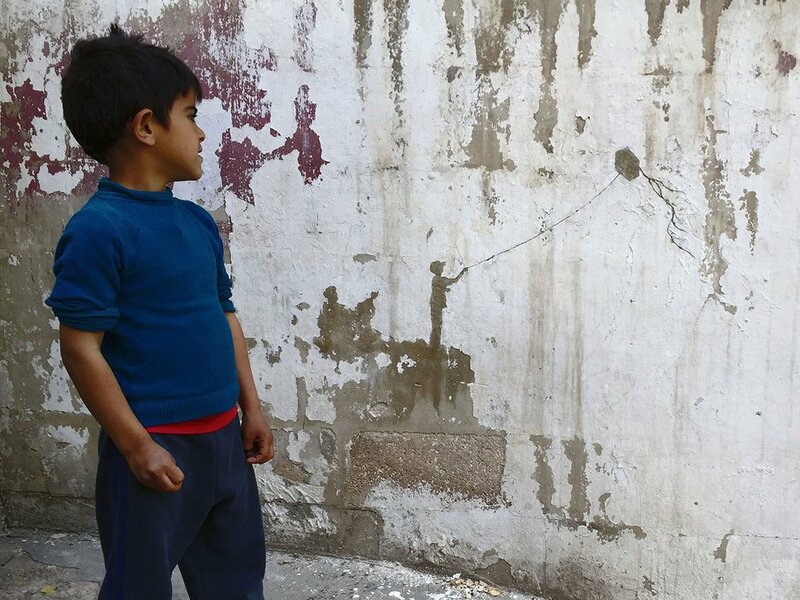 One of Pejac's most special projects took place in Amman, Jordan. Pejac went to the Palestinian refugee camp in Al Hussein to tell the story of the Palestinians. 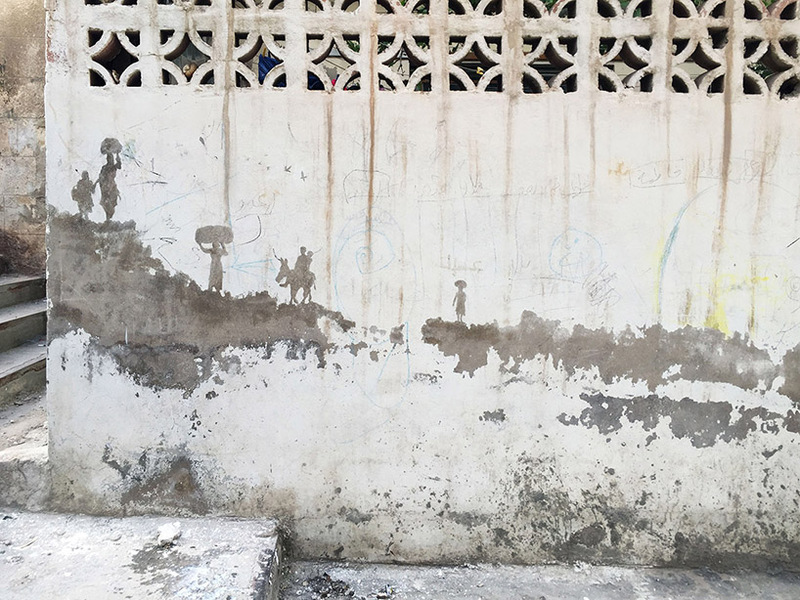 Using the paint chipping walls of their homes as his canvas, Pejac etched four minimalistic masterpieces that display a sense of both hope and loss that the Palestinians experienced when arriving to the camp. The loss of homes and the means of subsistence and simply just living. "Palestine" shows the loss of Palestinian land to Israeli apartheid from 1947 to present day. "Kite" powerfully illustrates the loss of the Palestinians' homes using a little boy playing with a kite in the shape of a house with its roots attached. "Throne" displays a man sitting in the midst of the war torn rubble. "Migration" presents the relocation of the Palestinians in the camp with a few of their belongings. 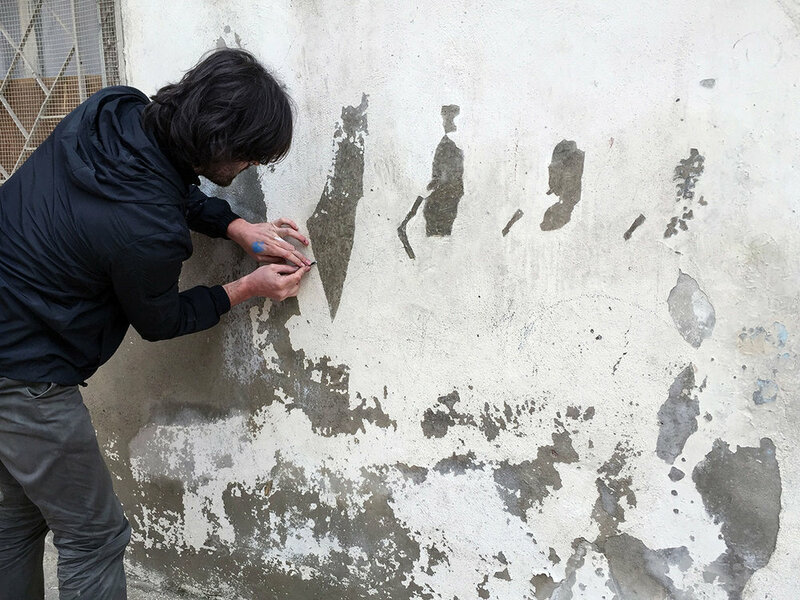 For more on Pejac and his work you can visit his website here. What do you think about Pejac's work? Comment your thoughts.